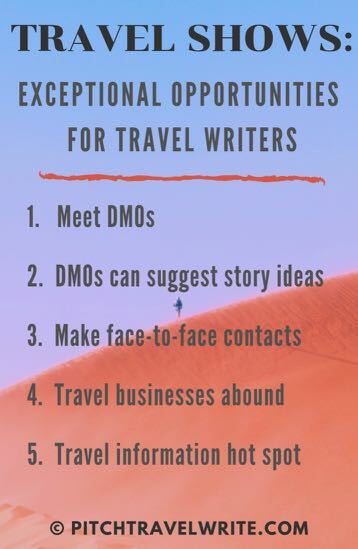 I know of many travel writers that go on a trip without an assignment, and then are faced with trying to sell their story ideas after they return. I’m always surprised at this. It’s reactive and it’s not good business. And most of all - it’s hard! My mantra is “pitch before you travel”. Presell your travel stories before you take the trip. Get those assignment letters in advance. This approach is proactive and it has many benefits for you as a writer. If you travel without an assignment, and then you ask for comps while you’re there, you are now committed to selling something after the fact. That’s hard! What if you can’t find a buyer? Several times a year, I receive panicked emails from writers who were on a comped trip without an assignment. They made some kind of promise to their hosts about getting an article published. Now that they’re home, they’re not having any luck selling an article and they go into a panic because they can’t find an outlet to publish their article. This isn’t much fun for the writer. Pre-selling your travel stories eliminates this risk. There are several benefits to doing advance research. First of all, a lot of the work is done before you even take the trip. And you know a lot more about a place before you arrive, making you more productive while you’re there. Secondly, it’s more fun. Half the fun of going on a trip is planning all the things you want to see and do. Finally, anticipation sets your creative juices flowing – just the right state of mind for pitching story ideas. When you sell articles in advance, you have more control over your schedule and can design it around the things you want to see. This makes your trip more enjoyable. You will also waste less time seeing random stuff and more time seeing the things that are important for your assignments. 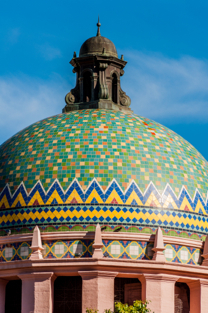 When you presell your travel stories, you have clarity about what you need to see or do. Your assignments give you clarity and a sense of purpose. And when you are engaged in the activities needed for your assignment, you will know exactly what information is beneficial on the spot because you already have the assignment. Without an assignment you’re working in the dark. Preselling your stories turns the light on. You are more likely to get complimentary entry to the attractions, and other “comps” if you already have assignments. Although nothing is guaranteed, the way the industry works is to offer assistance to people who have assignments. In addition, with most assignments you will get paid for writing the articles for magazines. This helps to offset travel costs, too. ... and a lot harder to get motivated afterwards! If you travel to a place without assignments, you will find it harder to get motivated to pitch story ideas after you return. The trip is over and so is the excitement. If you only have a few vague story ideas floating around your head but nothing committed to a publication, you’re not likely to do much work once you’re home. You’re tired, your creativity wanes, and productivity slides once the trip is done. 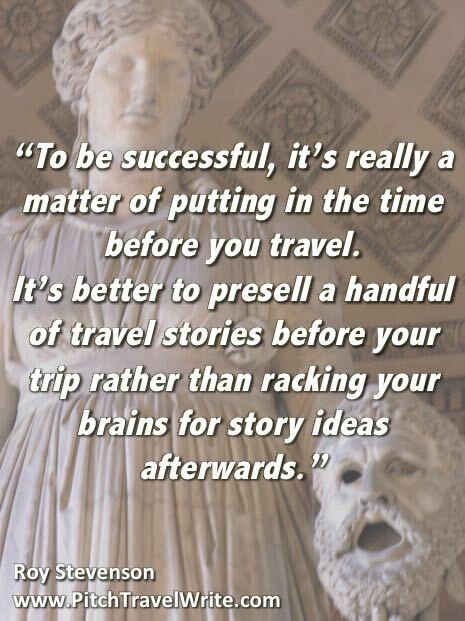 To be successful, it’s really a matter of putting in the time before you travel to presell a handful of travel stories, versus racking your brains afterwards for story ideas. Slightly restated, my mantra is: “Get multiple assignments before you travel”. In other words, presell as many travel stories as possible. 1. Select a destination that interests you. A destination that you’re passionate about will provide you with plenty of potential story ideas. 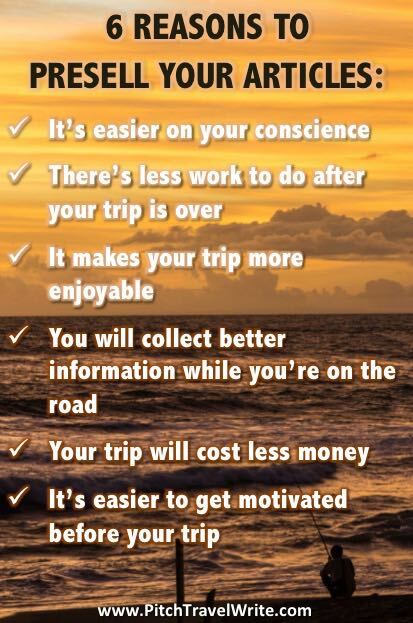 You will enjoy doing your research before the trip and the trip itself will be more enjoyable. Turn down invitations for press trips to destinations that aren’t interesting to you. 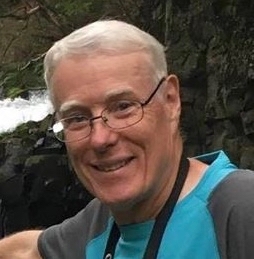 It doesn’t matter that they’re free – you’re not interested in the place and selling stories about something, before or after the trip, is a chore. 2. When you’re researching your destination keep in mind your current outlets – the magazines, newspapers, online travel magazines, where that you’ve already been published. 3. Research a variety of aspects about your potential destination. Use the Internet, guidebooks, or any other source of reliable information. The more you can read about a place in advance, the more story ideas you can generate and presell. 4. With your letters of assignments in hand, contact the Convention and Visitors Bureau in the place you want to visit. Tell them about your assignments and request their assistance with your itinerary. My wife and I wanted to go someplace warm and sunny one winter a couple years ago. We were brainstorming where we wanted to go when I said I’d like to see The Boneyard, in Tucson, Arizona. 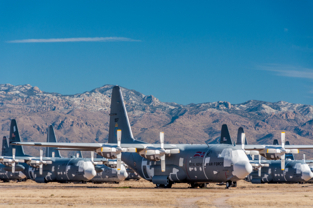 The Boneyard is an enormous outdoor storage facility in Tucson, with more than 4,000 aircraft. I knew I could sell an article about this place. So I queried an aviation magazine that had previously published a couple of my stories and got my first assignment. Understandably, my wife wasn't so excited about this destination. So she researched things to do around Tucson and found a free guide, “100 Things to Do Around Tucson” on a tourist website. We both perused the document and marked all the things that interested us. I learned about Bisbee and Tombstone, that they were mining towns with an interesting history. I have an outlet for these - a magazine with readers who enjoy searching for precious metals, visiting ghost towns and learning about mining history. I pitched these stories to the magazine and got two more assignments. I also discovered that Fort Huachuca, down near the Mexican Border, has several on-base museums about signals and communications, so I pitched that story to a ham radio magazine that I’d written for, and got that assignment too. Then, I found out that a new resort was opening near Tombstone and pitched that idea to an online travel magazine, and they committed to that story. So, with a day’s research and a flurry of query letters (which took 2 weeks of my time), I had five solid “Letters of Assignment”. Armed with these assignments, I approached the Convention & Visitor’s Bureaus (CVB) at Tucson and Cochise County. Within a few weeks they came up with a 12-day customized itinerary for us, including accommodations, most meals, and complimentary entry and guided tours of the various tourist attractions. It was a memorable trip, and we were able to get out of the rainy Seattle winter for a couple weeks. We got to see all the things needed for the articles, plus a few things we wanted to do just for fun. I delivered a handful of articles which pleased the CVBs and our hosts. And I’ve been invited back to Arizona twice since then on other trips. If you have an assignment, or especially when you have multiple assignments, the CVBs will want to work with you to ensure your trip goes well and you have what you need to write good stories. The CVBs know their region intimately. Once they get to know you and understand the types of articles you write, they will suggest places to visit that you might not know about. And that’s a big help – it might even result in more story ideas to pitch once you’re back home. What if you’re just starting out and don’t have many outlets for your articles? That’s another advantage of preselling your story ideas before you travel. There’s nothing to stop you, a beginner, from doing your research and pitching any magazine in advance of your trip. It doesn’t matter that they haven’t published your work (yet). I was a beginner not so long ago, and I’ve had great success with this method. 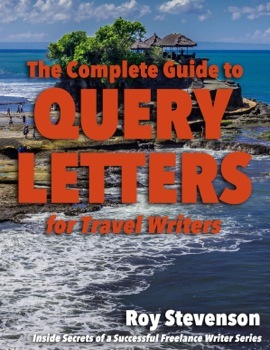 When I am planning a trip, I presell my articles by starting out my query letters saying: “I’ll be visiting (name of city) next month, and would love to write an article about (the story idea) for your magazine”. You will not get assignments for every story angle you pitch. Even with my acceptance rate of 90%, some story ideas are rejected. It’s no big deal. The idea is to fire out as many queries on different story ideas to as many magazines as you can. It’s a shotgun approach, and can work as nicely for you as it works for me. How far ahead should you start planning your trip? For a regional tour in the U.S., start three to four months in advance. For international trips, start five to six months before you are planning to travel. Preselling your story ideas with all this advance research and querying sounds like a lot of hard work — and it is. But it will almost guarantee a more enjoyable trip and some great stories to write about your destination at the end of the trip. And because you did most of the work in advance, you will enjoy the trip more because the only thing left to do when you get home is write the articles. 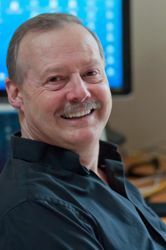 Presell your articles before the trip. That’s easy! 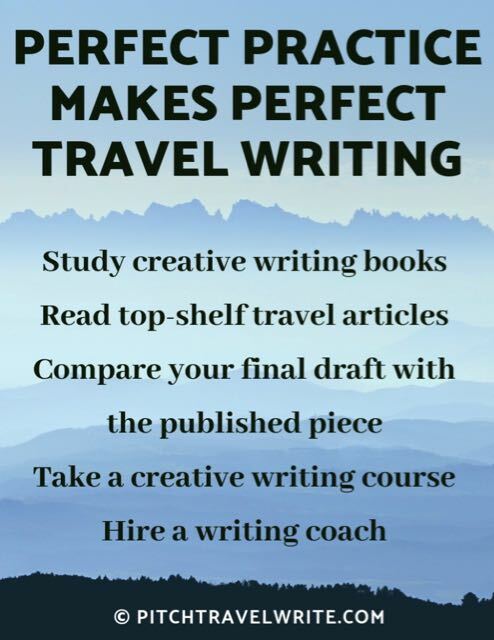 Five Travel Writing Tips for Beginners Travel Story Idea Troubleshooting Guide, or "Why Can't I Sell My Articles?"